Ten centimetres longer than the Silver Spirit, the Silver Spur was at times the more popular version. The model shown is from 1996. 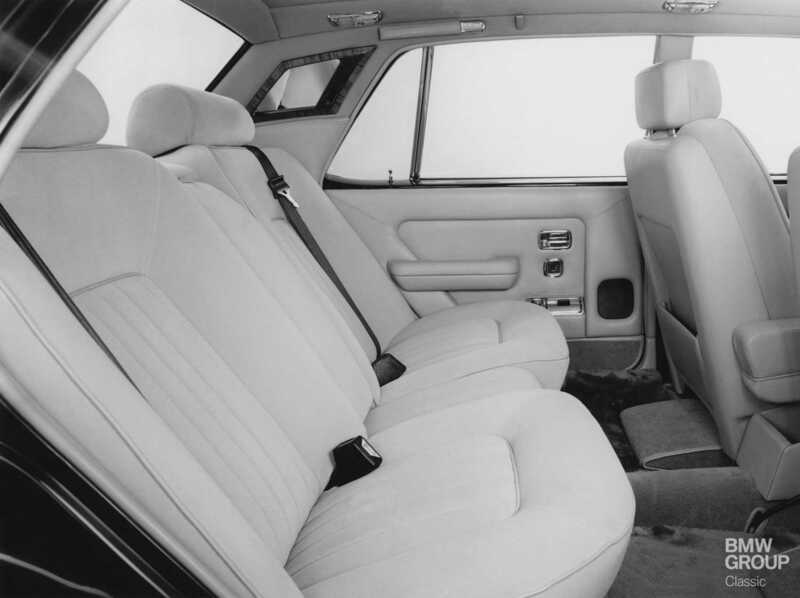 As the Silver Spirit was often chauffeur-driven, the rear-seat accommodation was particularly comfortable and luxurious. The Silver Spur took this even further with an extra ten centimetres of rear legroom. The Bentley Turbo R brought out the sporty side of the Silver Spirit. Twin headlamps were firm fixtures alongside the modified grille. The model shown is from 1989. The zeitgeist called for straight lines and hard edges, but the Silver Spirit remained unmistakably a Rolls-Royce. Refinements and enhancements were most noticeable in the interior. 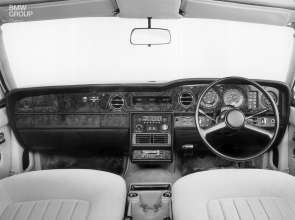 Take the new centre console and steering wheel in the 1992 Silver Spirit II. 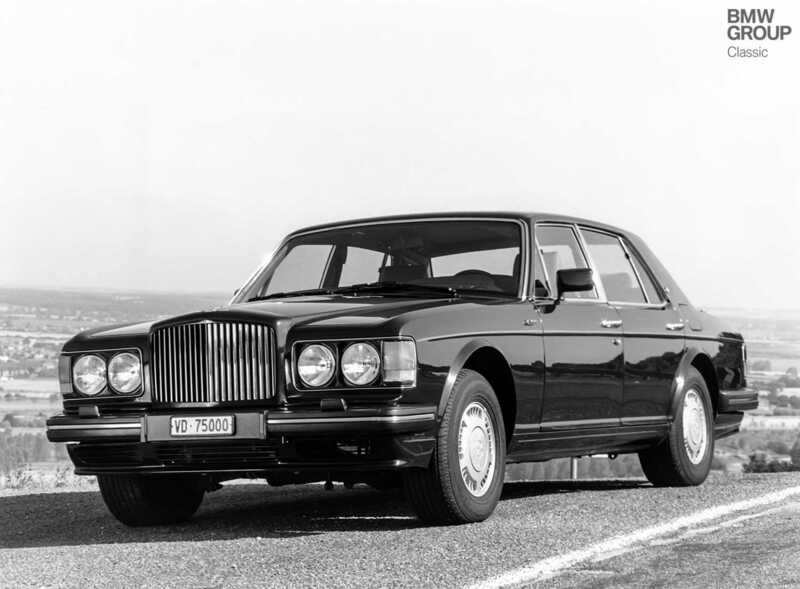 The legacy inherited by the Rolls-Royce Silver Spirit was certainly a daunting one. 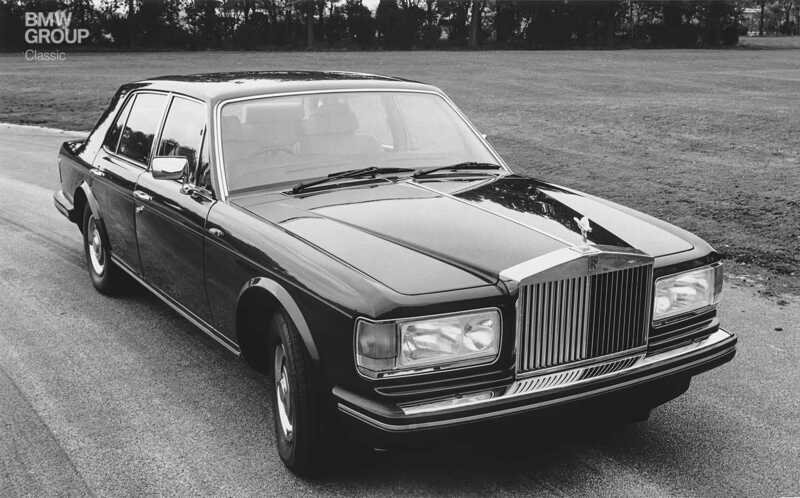 Its predecessor, the Silver Shadow, had been highly successful and was built in far greater numbers than any previous Rolls-Royce model. The challenge for the development team was quite simple: to make nothing more and nothing less than the best car in the world. 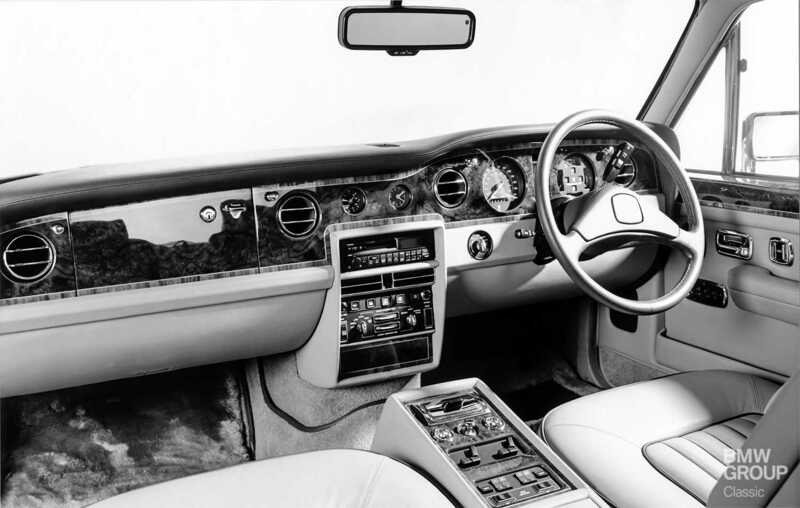 It was therefore reassuring that Rolls-Royce’s chief stylist Fritz Feller, born in Austria but now an adopted Brit, had already worked on the Silver Shadow launched in 1965. He and his team just had to surpass themselves once again. Featuring large front and rear light units, the Silver Spirit unveiled in 1980 was very much a product of its time, an age which favoured distinctly linear styling and sharp edges. Nevertheless, in keeping with the tradition of the marque, the design was restrained (some might say almost to the point of plainness). A decision of this nature typically finds greater appreciation a few years down the line; indeed, there is a certain timelessness about every Rolls-Royce. At 5.27 metres long and 1.89 metres wide, the body of the Silver Spirit still has the formidable presence shared by all cars of such standing. Its 2.2-tonne kerb weight testifies to the conscientiousness and luxury with which the interior looks after its occupants. At this end of the market, there can be no suggestion of anything lacking. Finest Connolly leather, lustrous wood on the instrument panel, switches which operate with life-affirming positivity – every Rolls-Royce is a celebration of peerless craftsmanship. Only the simple-as-they-come steering wheel seems out of keeping; it even went without leather trim in early Silver Spirits. Fear not, though, the company was merely thinking of the practicalities of chauffeur-driven cars: smooth plastic is easier to keep clean. There is a reason for everything in a Rolls. The proven 6.75-litre eight-cylinder aluminium engine, whose horsepower figure is withheld in keeping with Rolls-Royce tradition, delivers entirely the performance required. A test published in the 9/1981 issue of German car magazine auto motor und sport noted a top speed of 186 km/h (115 mph) and a 0 to 100 km/h (62 mph) time of 11.4 seconds. But figures alone could never convey the delight of floating along almost silently on the hydropneumatic suspension, enjoying the comfort of probably the best air conditioning system in the world at the time and listening to a stereo comprising German Blaupunkt and Japanese Pioneer components. Only the ticking of the clock – famously the loudest sound inside a Rolls-Royce – was missing, the timepiece having taken a turn for the digital. The new Silver Spirit was ideally suited to an age in which changing technical requirements were accompanied by increasingly demanding environmental and safety standards. Although it was based on its predecessor, the Silver Shadow, the new car was far superior in every respect and embodied progress in the truest sense of the word. Depending on how a customer intended to use it, the Silver Spirit could be specified with a ten-centimetre-longer wheelbase; this variant – christened the Silver Spur – was actually more popular at times. Through its different model updates, the Silver Spirit ultimately surpassed the lifespan of its predecessor, the Silver Shadow. It remained in production until 1998, when it was superseded by the Silver Seraph. If ever a car deserved the odd shout from the rooftops, it is the Silver Spirit. But Rolls-Royce tradition being what it is, anything more than a discreet nod of acknowledgement would really be going too far. 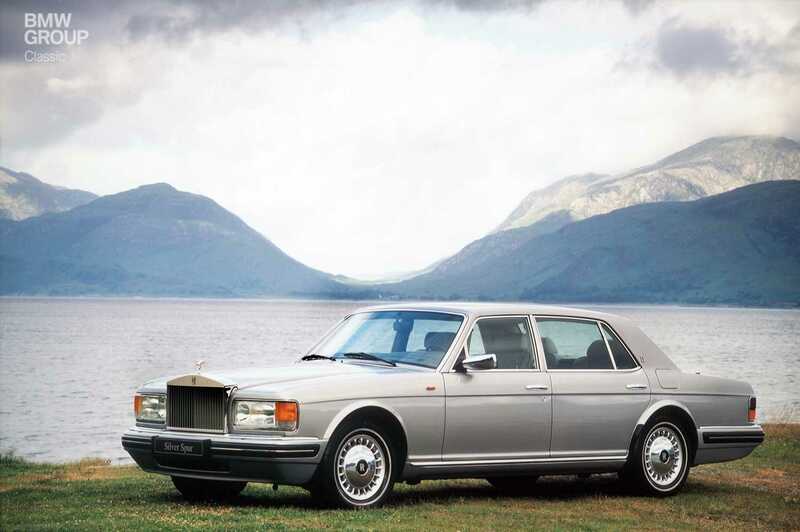 Doug DeMuro takes a contemporary look at a 1996 Rolls-Royce Silver Spur. This is what real enthusiasm looks like. A Rolls-Royce promotional video about the then new Silver Spirit, including footage from the test and trial phase (image and sound quality are below-average, sadly).